Executive Biz recently highlighted how the Philippines plans to build a potential $14 billion development. This New Clark city project, as reported by Business Insider, will be located approximately 75 miles outside Manila, the Filipino capital, with construction set to begin in 2022 and the BCDA Groupand Surbana Jurong serving as developers. The city will accommodate up to 2 million people, with five districts intended for business, government, agriculture, education and recreation functions. In addition, New Clark will feature an agro-industrial park, sports complex, green space, driverless cars and other technologies that seek to reduce water and energy consumption. This initiative and amenities have the added benefit of much-needed congestion relief in Manila. In the ExecutiveBiz article, I discussed how the New Clark project builds upon the strong, economic growth the Philippines has seen in recent years. 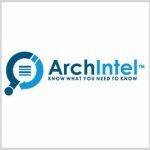 Because of this, it was with great pride that we at Executive Mosaic could announce Tuesday that ArchIntel, a provider of concise actionable intelligence to business leaders, acquired e4e Global Services Philippines, Inc. This acquisition not only increases the company’s global technology reach and robust service offerings, but also demonstrates our commitment to growth in the region and plans for continued investment. This investment will enable us to build upon our market-leading daily executive briefs and competitive intelligence reporting that keep you informed about crucial GovCon developments. By providing customized reports unique to each customer, we’re able to serve those who serve the mission and allow busy executives to know what they need to know. 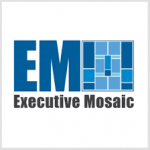 I am extremely proud and encouraged of the work we’re doing at Executive Mosaic, ArchIntel and the Potomac Officers Club. I look forward with great excitement as we continue to expand in the Philippines, Tysons, Va., and beyond. Cerberus Capital Management mulls selling DynCorp for $1.3B. 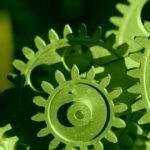 DPW Holdings subsidiary purchases Enertec Systems for $9M. 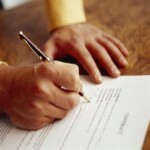 SAP NS2 buys Technology Management Associates. Private equity firm Cerberus Capital Management is considering putting DynCorp International up for sale in a deal that could be worth at least $1.3 billion, Reutersreported Thursday. 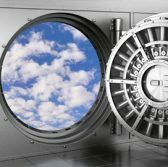 Sources told Reuters that Cerberus has tapped two investment banks to help seek offers from potential acquirers of the defense contractor. 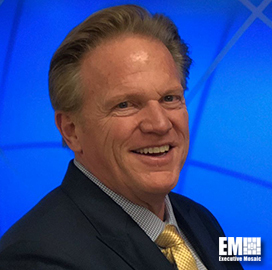 DPW Holdings subsidiary Coolisys Technologies aims to expand its technology development and manufacturing capabilities with the acquisition of electronic systems provider Enertec Systems for approximately $9 million. DPW said Wednesday its Fremont, Calif.-based subsidiary will add more than 70 new workers, most of whom will be engineers with military experience. Pasadena, Calif.-based company Parsons has acquired Polaris Alpha from Arlington Capital Partners as part of a technology investment program. 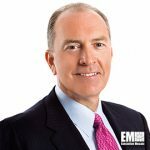 Parsons said Monday it will merge its knowledge in artificial and signals intelligence and data analytics with Polaris Alpha’s machine learning, data, video, multisource analytics and automated reasoning offerings. 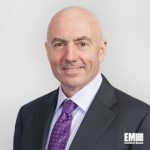 SAP National Security Services has acquired signals intelligence and engineering services contractor Technology Management Associates for an undisclosed sum in a move to broaden its footprint in the intelligence community and advance the delivery of platforms to the federal government. SAP NS2 said Tuesday it completed the acquisition on April 30 and will run TMA as a wholly-owned subsidiary. 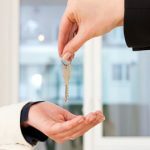 The U.S. Army has tapped economically disadvantaged woman-owned small business ProjectXYZ to provide programmatic support services under a potential $75.9 million contract. 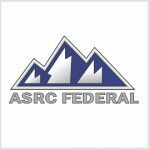 NASA has awarded ASRC Federal‘s InuTeq subsidiary a potential 10-year, $1.2 billion contract to provide high-performance computing support for the space agency’s science and engineering programs. 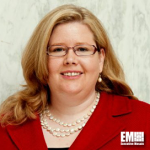 Emily Murphy, head of the General Services Administration, has said GSA plans to restructure the contract vehicles to streamline the procurement process for federal agencies and contractors in support of the current administration’s aim to reduce duplication and advance the use of shared services, FedScoop reported Wednesday. 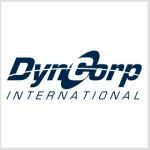 Private equity firm Cerberus Capital Management is considering putting DynCorp International up for sale in a deal that could be worth at least $1.3 billion, Reuters reported Thursday. 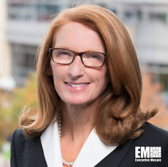 Mary Legere, managing director for national and defense intelligence business at Accenture‘s federal arm, has received recognition from the Women in Technology organization for her work in the defense sector. Pasadena, Calif.-based company Parsons has acquired Polaris Alpha from Arlington Capital Partners as part of a technology investment program. 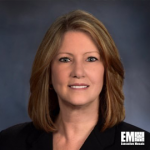 Bethesda, Md.-based firm Lockheed Martin has promoted Michele Evans, an executive at its rotary and mission systems unit, to serve as the company’s deputy executive vice president for the aeronautics division starting June 4. 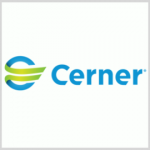 Cerner (Nasdaq: CERN) has received a potential 10-year, $10 billion contract to help the Department of Veterans Affairs deploy the same electronic health record platform the Defense Department currently adopts. Microsoft has signed a six-year agreement with the U.S. intelligence community to expand the use of the company’s technology offerings by 17 agencies within the IC.